Menswear has gained steady interest over the past few years with more fashion-conscious men wanting new trends as much as the ladies. On top of this, more and more male fashion designers are emerging onto the scene such as Kriss Soonik to liven up both women’s and menswear. Some female designers such as Rachel Boston are also incorporating male influenced pieces into their new collections such as chunky ‘Knuckleduster’ rings. All this has resulted in the world of men’s fashion highlighted under a brighter spotlight than ever before at this year’s autumn and winter designer shows. Typically, the shows have been very female focused and although this is still somewhat the case, menswear stepped out of the shadows and into the bold colourful light to showcase the latest trends. Popular materials this year for autumn and winter include bold plaid ties and shirts as fashion sways into nineties styles. Alongside plaid, leather held its title as one of the most staple and popular materials for menswear fashion. Detailing wasn’t just kept to women’s fashion with metal detailing on shoes and shearling trims on jackets for stylish winter warmth on show. Some designers also opted for paisley and floral pieces to add individuality and character to classic, tailored menswear looks. Tommy Hilfiger used strong black and white patterns for both his men’s and women’s autumn/winter collections with a bold houndstooth pattern in an array of styles and sizes. Tailored, classic formal looks went casual at New York Fashion week as designers played around with prints and materials. Mark McNairy New Amsterdam collection featured digital camouflaged prints on tuxedos and suits whilst Todd Snyder chose suede suits in midnight blue for his Rebel Gentlemen line. Try mixing unusual materials with bold colours alongside a paisley or black and white tie or shirt. Full checkerboard suits with oversized squares were also sported by designers including Valentino, Hackett and E Tautz for a daring look. For the less brave, try a checked jumper in tartan or big squares as seen at Jil Sander. 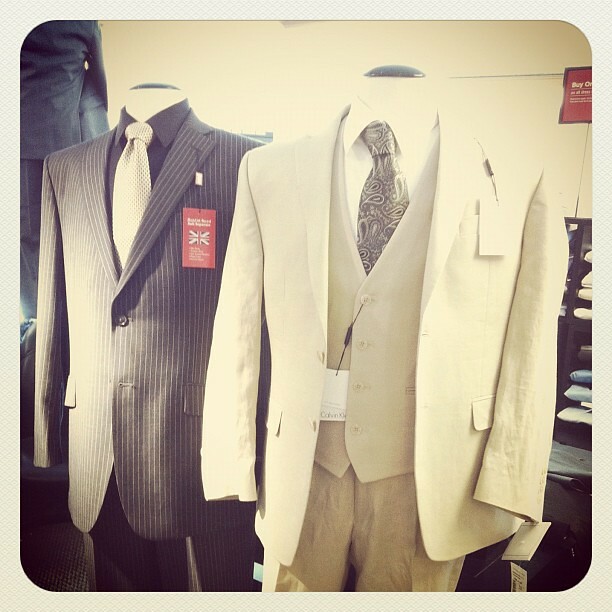 As a contrast, other designers chose a grey head-to-toe look with complementary hues in this safe yet classic colour. Damir Doma, Viktor and Rolf Monsieur and YMC along with many others all teamed charcoal and light grey outerwear in warm, durable materials with contrast details including grey-toned camouflage and spacedye ties and jumpers. Others such as Calvin Klein chose a head-to-toe black look in leathers and black, casual trousers. 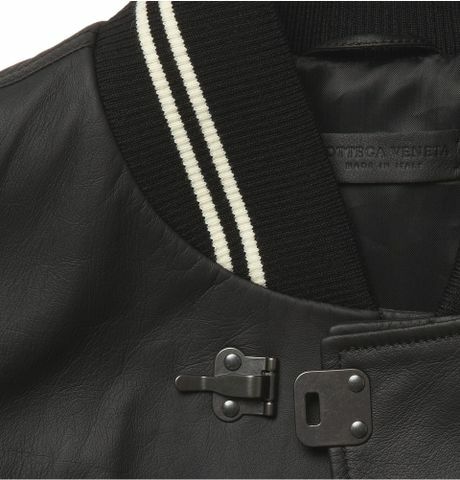 The classic varsity jacket showed up at almost every men’s fashion show this year, which shows that some pieces are strong enough to just keep coming back into fashion. Missoni followed the suede trend with tan varsity jackets with contrast detailing while Givenchy stayed true to their 2013 ultra-modern lines with black leather panelled varsity jackets for a new formal take on the sporty classic. Other designers experimented with materials including Roberto Cavalli’s slim cut panelled jackets in metallic materials. Laura Booker is a freelance copywriter from London. Her passions include art, fashion photography and mango sorbet.